A mock-up page from an introductory booklet to a reissue of the 1964 book “Nothing Personal,” a collaboration between photographer Richard Avedon and writer James Baldwin. Avedon evidently wrote down the W.B. Yeats quote as being important to the book’s thematics. Courtesy Richard Avedon Foundation and Taschen Books. Funny how swiftly dark clouds, even from decades ago, can ambush a celebration. My sunny Sunday birthday on July 1 ended with a walk in the park, and very real rainmakers eliciting a thundering downpour and sweeping winds amid a tornado warning. The storm broke my gal pal Ann Peterson’s umbrella. Earlier, she’d given me a luminous gift that soon engulfed me in the ominous vision of perhaps the most famous poem of W.B. Yeats, arguably the greatest poet of the 20th century. The gift was a reissue of the 1964 book collaboration between photographer Richard Avedon and writer James Baldwin, titled Nothing Personal. Therein I soon encountered a familiar quote from Yeats’ “The Second Coming” (see image at top), handwritten by Avedon on a publisher’s mock-up page, for the original edition. Avedon’s mock-up photo comes from the new edition’s accompanying booklet, which includes an introductory essay by Hilton Als, the 2017 Pulitzer Prize winner for criticism, and previously unpublished photos by Avedon. This whole momentous passage calls out to our times with shuddering power, even if Yeats, like many visionary and prescient writers, wrote it long ago, in 1921. The passage has resonated variously over the ensuing centuries. 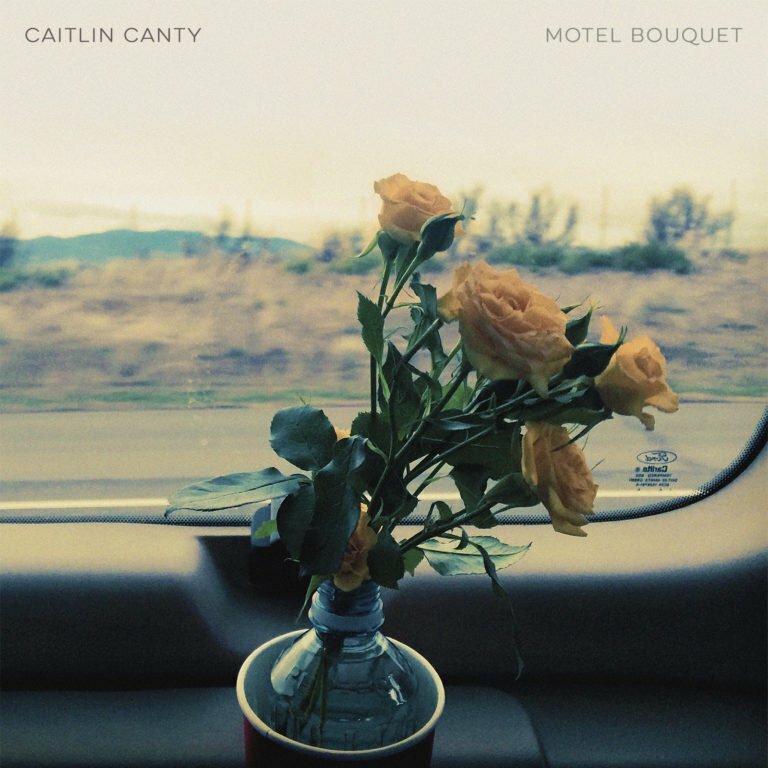 In the Irish poet’s time, civilization struggled to piece the world order back together after The Great War, an unprecedented world catastrophe, a complex failing of humanity. Yet now, many have commented on the “chaos” of today’s international affairs, especially as exacerbated by Brexit and Trumpism, which has threatened not only international relations but the very democracy our nation was founded on, and functions under. And that “rough beast” slouching toward Bethlehem, a hybrid of a lion and a man, now seems to evoke the visage of Donald Trump, with his huge, pseudo-golden orange mane and face, and his roaring Twitter posts and campaign-style speeches, always speaking strictly to this cowardly lion’s pride – his narcissism and his avid base – never as a leader of all America. A deep segment of his strangely faithful base is a strain of ostensible Bethlehem-worshippers, white Evangelical Christians. This literary comparison may risk lending a dark grandiosity to Trump’s often-fumbling, crude, instinctive behavior and very risky “policy.” Yes, Trump’s easy to frame as an unintentionally self-styled running joke. But the grim reaper may laugh deepest, and last. He has again, most recently in the massacre of five journalists in their newsroom in Annapolis, Maryland. My blood still runs cold. I’ve spent most of my professional career in similar newsrooms. The rough beast, of course, has many guises, beyond Trump, and must be fed. More real dangers and tragedies loom, as momentous as Yeats’ poem suggests. Cut to our times: Consider the whole dynamic of, first, Brexit and then the 2016 presidential election, and perhaps of even liberalism-versus-neo-liberalism-versus-conservatism-versus-inchoate angry, emotional populism. That complex scenario has played out over the last several decades, and brought us to our perilous position. I’ve seen at least one interpreter some years ago read Yeats’ “the best ” as being people of intellect and reason, and “the worst” being those who respond mainly with emotion. Can we now flesh that out to a “passionate intensity” driven by pain, frustration or fear – and worse, a certain percentage of people afflicted with misogyny, racism and xenophobia? As for “the best” lacking all conviction, some pundits and writers have observed that certain recently-disavowed or disenchanted Republicans – like strategist Steve Schmidt or political TV host Michelle Wallace – have proven among the most passionate protesters of Pres. Trump’s obscenities, compulsive hypocrisy, and often-willy-nilly executive orders, and eloquent defenders of basic American values in a democracy at dire risk. Schmidt almost invariably also provides pointed historical perspective when he speaks. Perhaps, as Republicans, they know how to be passionate when they really need to be, and rational and pragmatic when that’s needed. Plus, I suspect they know the most consistently effective political strategy combines those seemingly polar qualities. I don’t really know the politics of pundit Malcolm Nance, because he’s a well-guarded professional intelligence person. But the author of The Plot to Hack America has proven one of the most urgent, truly knowledgeable and lucid voices regarding the well-documented Russian undermining of our political system in 2016, and of democratic systems in Europe, and for seeing the big, ominous picture behind all that. What we have lacked is passionate conviction among a certain spectrum of liberals, Democrats and Independents, who may see what is going wrong. A certain segment of Independents, by nature (not the Bernie Sanders-type of independent), may tend to equivocation. However, times demand that they take a strong stand, speak out, and act, for the sake of their imperiled country. But a too-broad swath of liberals, Democrats and would-be Dems have, I think, been most lacking in recent times. Not that we don’t have a substantial, pulsing core of active people in that swath, especially swelling among millennials. But there are reasons why the Democrats bear some responsibility for why Republicans control all three branches of federal government, and too many state governments, even though they are by far the minority party in terms of popular affiliation and apparent support. And yet the Dems/liberals too often spend excess energy squabbling amongst themselves and, when facing the real opposition, acting all-too-civilly, playing mainly within the rules, in between the lines. Muting potential conviction, passion, and the sharpest, toughest strategy. In football terms, Republicans usually control the line of scrimmage, often illegally or unethically – the key to winning the game. Liberal Mister Nice Guy tactics have to change now, starting with the encroaching Supreme Court vacancy, and beyond. Meanwhile, Republicans constantly shift the goalposts, cheat the system (as in Mitch McConnell’s hijacking of Pres. Obama’s selection for the Supreme Court), and follow in meek or overt lock-step with Trump, who lies incessantly to obscure truth and reality and further rile his base, and pervert our institutions and democracy. Contact your Congessperson by e-mail or phone, for starters. Use social media’s networking power constructively. Attend a public meeting on an important issue as it plays locally. Join a protest march, or a neighborhood organization. Such connections can form a curving arc that strives for the precision of the falcon’s flight, part of a greater collective power. Showing up is half the battle, as Woody Allen said. Showing up and voting on election day is a must. And something is really happening. 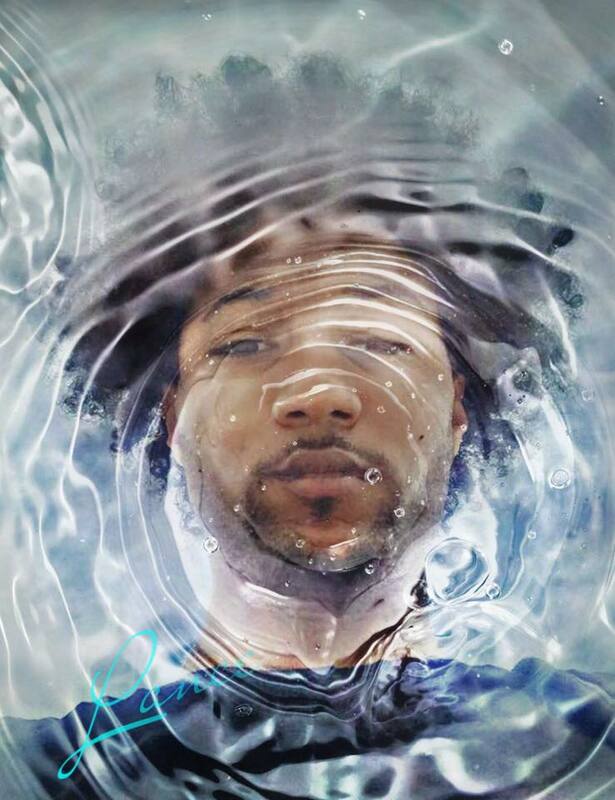 “The best” are gaining conviction and passionate intensity, especially with women and more minorities becoming engaged in politics and running for office, and other aspects of the so-called “blue wave.” Yet, that term has gained so much attention that people might subconsciously start “riding” it – and imagining “the wave” will carry them to the proverbial promised land – without contributing to its momentum. Think of “the wave” in a sports event – it’s fun, and looks cool and powerful, but when the human ripples subside, everyone ends up on their butts again. Because the Democratic “coalition” is so diverse, it’s more diffuse than the GOP, and difficult to marshall all its potential forces. Factions too easily divert into pet issues, worthy as they may be, or into a premature self-satisfaction, or tempered anxiety, which leads to creeping passivism. “Nothing Personal” was a project of creative activism between Jewish photographer Richard Avedon and African-American novelist and essayist James Baldwin. Race relations and civil rights were primary subjects of the book. In this Avedon photo from the new edition of the 1964 book, the photographer merged the two men’s identities by creating a half-mask of Baldwin (who was unavailable at the time) beside Avedon’s own face. Courtesy the Richard Avedon Foundation and Taschen Books. But do not forget the “rough beast” slouching toward Bethlehem. The town, of course, signifies the birthplace of the greatest modern prophet, the wise and holy man whose teachings and sacrifice are too-often forgotten or perverted by modern Christians. I am convinced that Yeats would’ve agreed with another common phrase these days, that “democracy is not a spectator sport.” I hope I don’t sound self-righteous. Believe me, I don’t think I’ve done enough to make a difference for the sake of our democracy. You do what you can, then try to do a little more. And those who are in the crucial game, which will lead to these pivotal 2018 midterm elections and the 2020 presidential, need to exercise smarts as much as passion. So, too-simplistic protest rhetoric such as “Abolish ICE,” seems unwise, and plays into the Trump playbook about “radical Dems” not caring about national security and happy to allow anyone across the border, as false as that narrative may be. Trump clearly has turned his incessant lies and false narratives into a rumbling P.R. strategy, undercutting progressive continuity, baiting the press and feeding his rabid base. Where does this end? We need a strong, intelligent and compassionate border security agency. But we also need something far better than the intolerably cruel and half-assed “zero tolerance” southern border immigration policy of the Trump administration. Ultimately, we need the most engaged citizenry possible, the most voters possible, to represent the truest political will of “We the people.” We also need oversight and safeguarding of our election system, so that it is not corrupted or perverted by any nefarious forces, either foreign or domestic. Nevertheless, today there is absolutely no excuse for another four months, much less another week or day, of stony sleep. 3. William Butler Yeats, All quotes from the poem “The Second Coming,” from The Collected Poems of W.B. Yeats, A New Edition, Collier Books, 1989, 187. 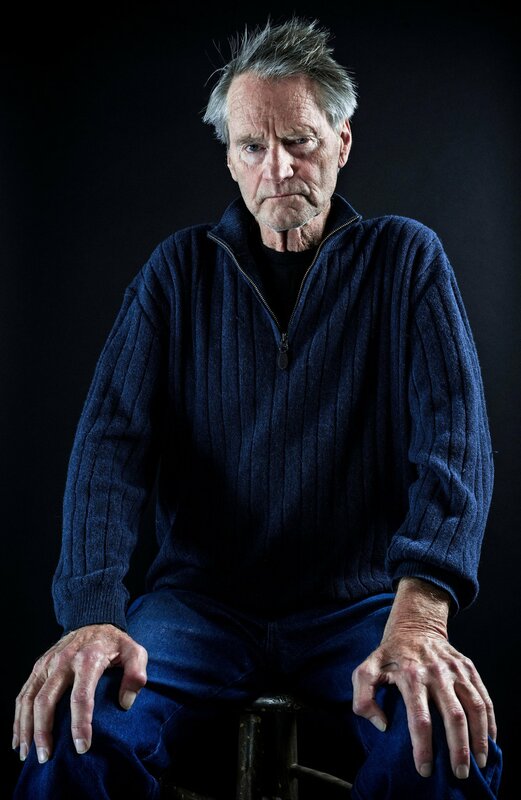 Buried Child by Sam Shepard, Writers Theatre, Glenco, IL, running through June 17. 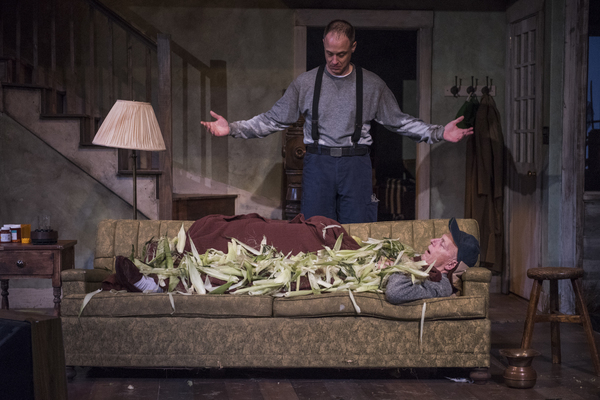 Glencoe, IL – A buried child haunts our times, a ghost that rose in uncanny and shocking ways Friday at Writers Theatre in this northern Chicago suburb. 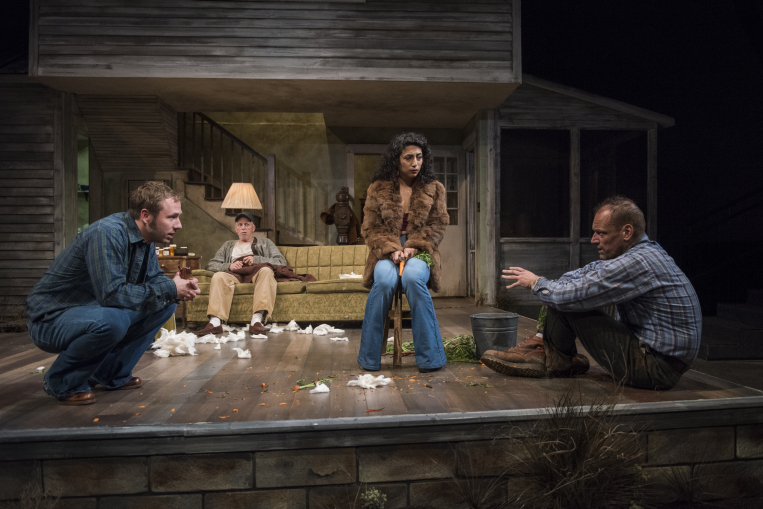 As it played out, Sam Shepard’s reputation-forging play Buried Child had perhaps more stunning resonance than it did in 2001, when the Milwaukee Repertory Theater staged it. Even if you saw it back then, it’s worth revisiting, especially now. It’s a weirdly deft admixture of psycho-drama, quirky horror, dark comedy and culture clash. And it closely peels back the mythology of the heartland. Is that notion rotting away, or only in need of air and sunlight? 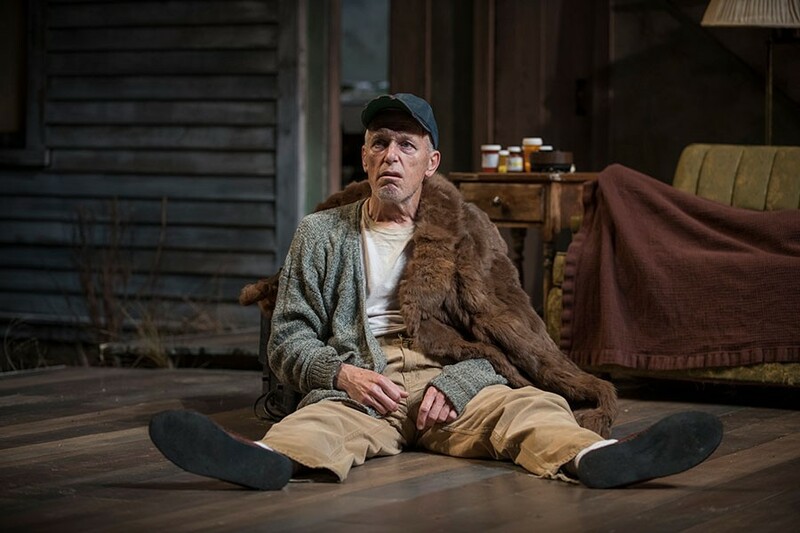 Like fearless spiritual homesteaders in dire times, Writers Theatre demonstrated why it has become one of the Chicago area’s premier live theater venues, and it’s only an hour and 15 minute drive from Milwaukee. What specifically might make such a drive worthwhile? The relevance factor is a hefty reason though it’s far from the only thing. The play felt like an extraordinarily revealing look into the forsaken rural regions of what we might think of as Trump’s America, even if suburban whites actually turned the Electoral College in Trump’s favor. Astute observers now oter that the skewed-to-the-very-rich economics of the 2017 Republican tax cut will deepen the divide drastically further. And with this family’s lack of crops for years, economics is a huge part of the divide in this play as well, echoing Trump’s betrayal of his working-class base, like a sort of narcissistic, weirdly-overfed grim reaper. This play, which received a Pulitzer Prize in 1979, presages today’s daunting cavern between urban and rural America in both stark and mysterious terms. Even though it premiered in San Francisco’s Magic Theater the year before, and even if Shepard played drums for an East Side New York psychedelic-folk band The Holy Modal Rounders, his play carries only a flashes of baby boomer-type anti-establishment sentiment. 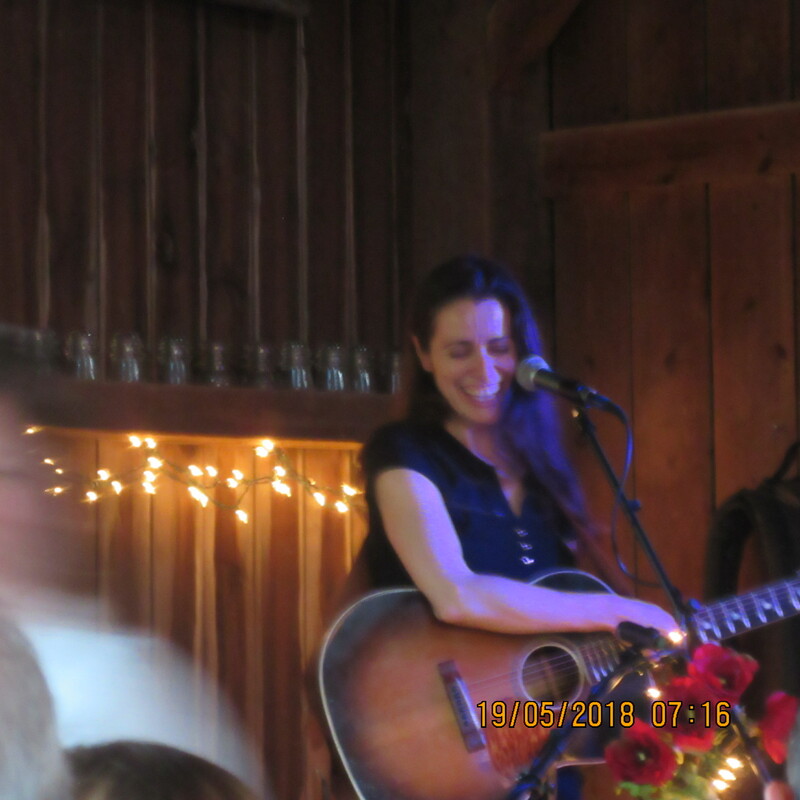 Rather, it exemplifies Shepard’s originality and one-step-removed rural sensitivity, and serves as a living, breathing tribute to the playwright and actor, who died last summer of Lou Gehrig’s Disease (ALS) at 73. 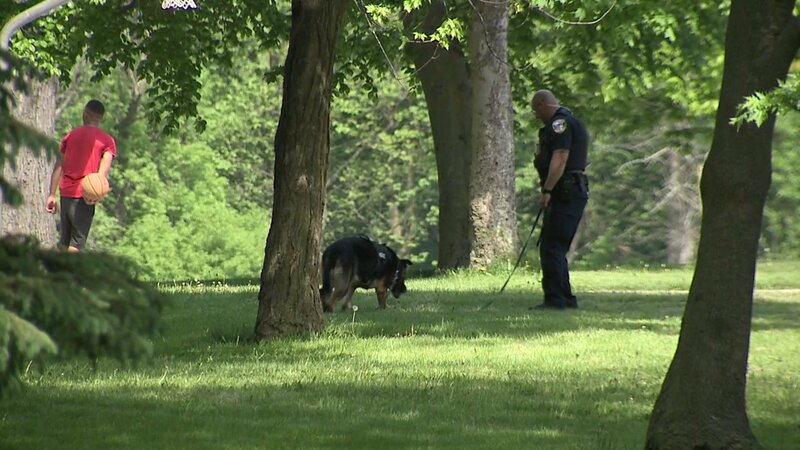 Rather than ideology, Shepard once said he found inspiration from a newspaper story about an accidentally exhumed body of a child in a backyard. That became the withering backbone of his play about a mid-eastern Illinois family as diseased as the black, stylized trees on the set appear to be. 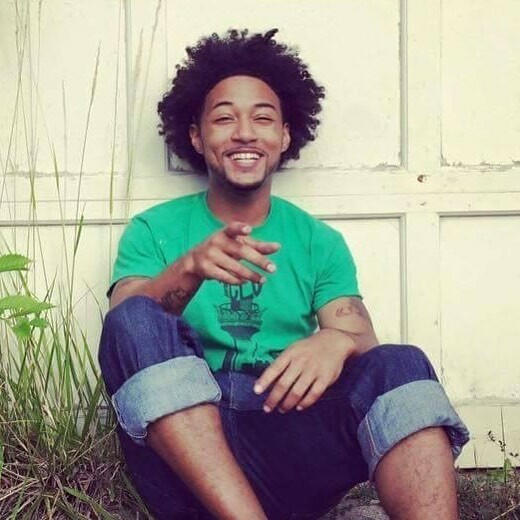 He charged it partly with his own experience of growing up with a heavy-drinking, mentally-troubled father. 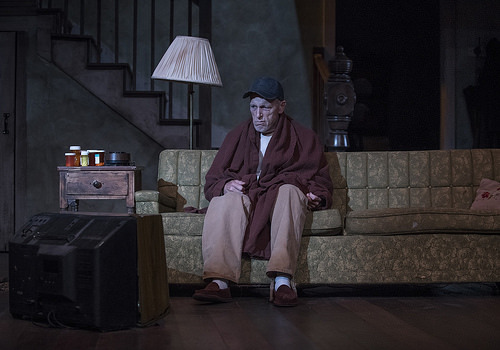 So the play opens with a family patriarch named Dodge staring numbly at a television, hacking convulsively, puffing cigarettes, popping pills, and sneaking shots of whiskey from a fifth stashed underneath the sofa cushion. The first 15 minutes of the play strangely transpire with Dodge enduring his wife Halie’s blathering from an upstairs bedroom. The disjunct symbolism hangs portentously as Dodge clearly subsists in a sort of purgatory, and he’s a pretty good bet for perdition, at any time. Then, today’s miles-deep cultural cleavage between the urban and rural arises when Dodge’s grandson Vince, now a city-dweller, arrives in a surprise visit with his new girlfriend Shelly, after six years absence from family contact. And yet somehow, he’s become a rank stranger to his kinfolk. Dodge, by turns addled and spitefully pointed, might understandably not recognize Vince. But then, who walks in with an armful of messily-harvested carrots but Vince’s own father Tilden, even more sadly troubled than Dodge, for possessing a conscience. The middle-aged son has fled back home after floundering in New Mexico – and can’t recognize his own son. The harvested crops also carry peculiar weight. 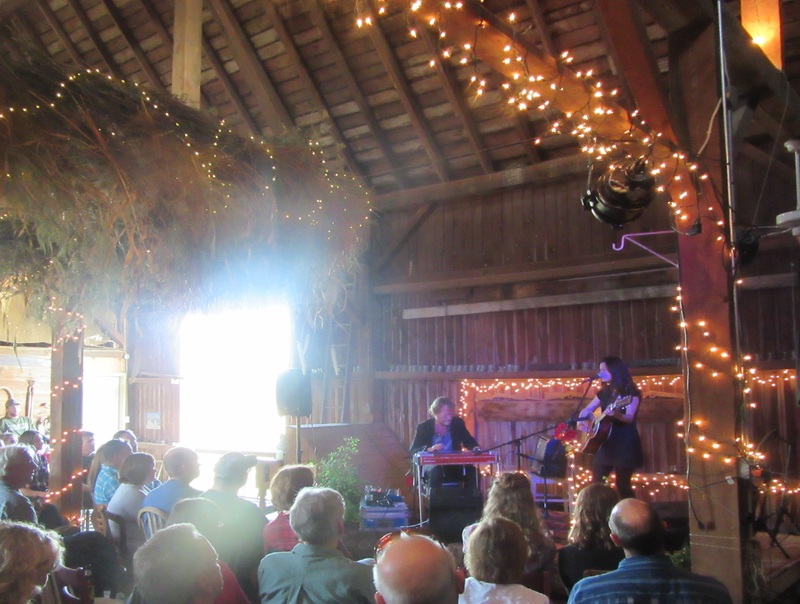 Tilden had previously hauled in an overflowing armful of corn, to the disbelief of both Dodge and Halie, who insist that their back lot hasn’t spawned corn for 30 years. 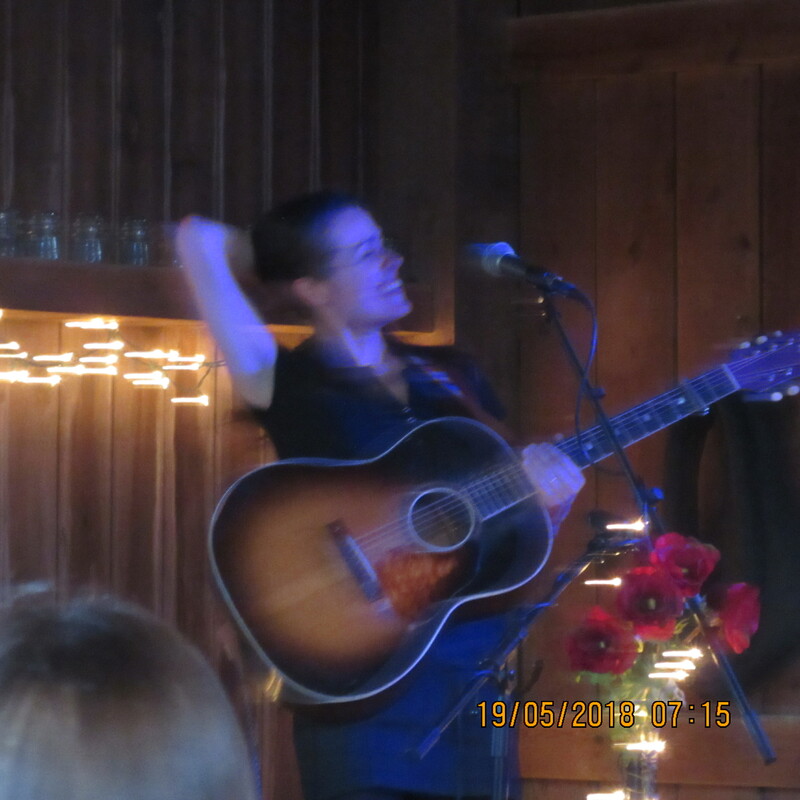 In a stunning scene that closes the first act, Tilden delicately covers his father, now asleep on the sofa, with all the corn husks he’d just shucked. 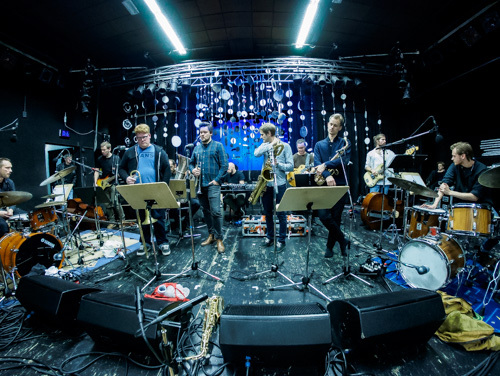 It’s a burial of sorts, slightly ghoulish and golden, but also richly resonant in its visual and organic presence. 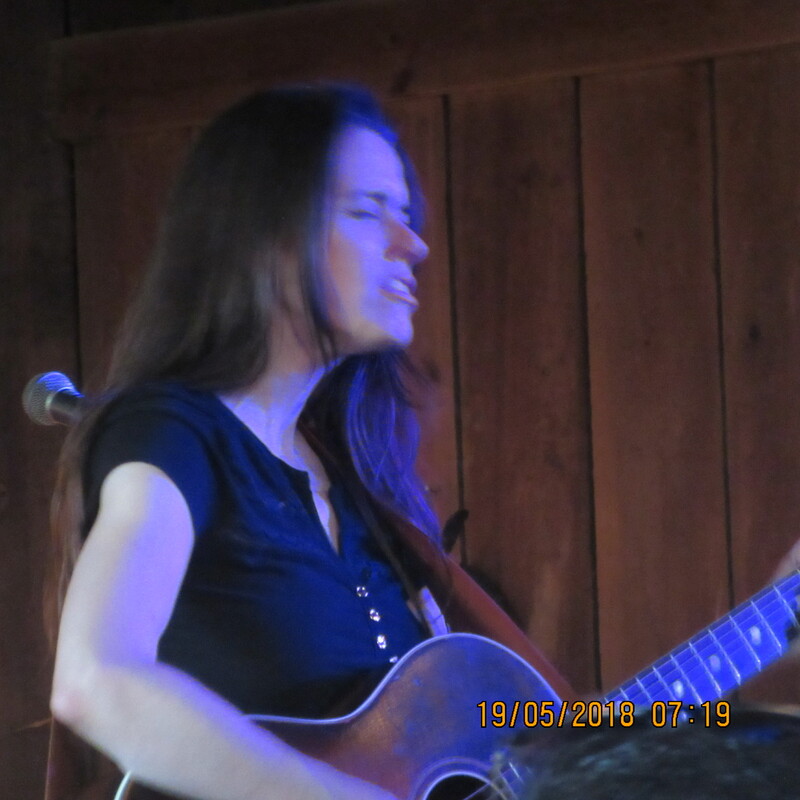 The urban couple’s arrival signal’s Shepard’s early feminist instincts, as Shelly stakes her ground and identity, and earns grudging respect from the country folk. “She’s a pistol, isn’t she?” Dodge exclaims. Shelly also stands as the fulcrum of relative sanity in the goings-on, especially after her boyfriend comes home raging drunk, seeming just as much of a lost cause as the other family’s males. Mother Halie (Shannon Cochran) is a case, in her own way, cloaking the family’s secret in bourgeois normalcy, while ever on the edge. She’s also carrying on a barely-concealed affair with a local priest who, despite his counseling background, is utterly lost at sea amid this family’s swirling currents of craziness. As for the source of the madness, that could be a complexity of factors, but perhaps the deepest of all lies somewhere out in the back, as mysteriously present as the sudden crop harvest. Old man Dodge carries his burden like a shipwrecked Ahab floating back to the surface, with no purpose left, only spite, bile, and self-made doom. Larry Yando manages to reveal some bleakly comical aspects to this character’s roughly-carved visage. Dodge? Is that you Dodge? 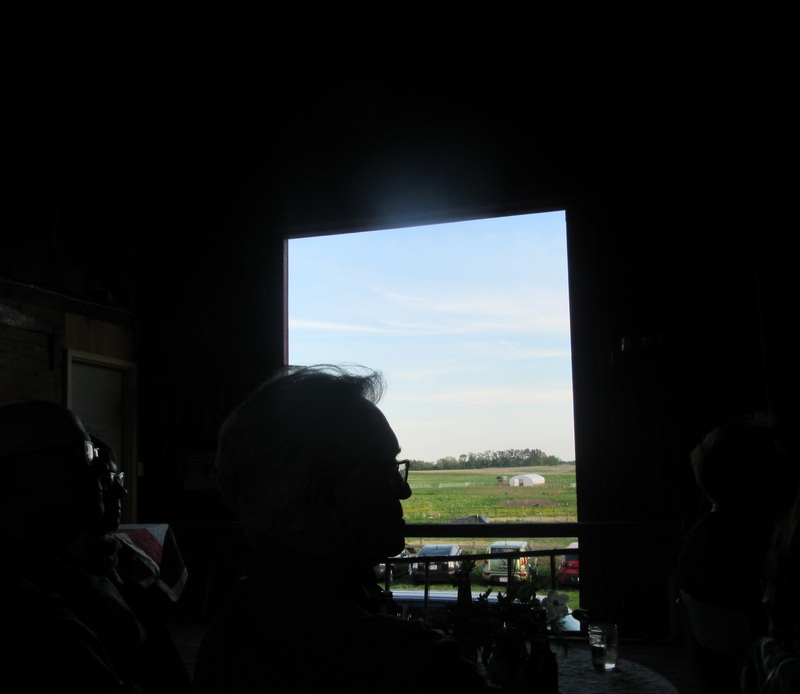 Tilden was right about the corn…It’s all hidden. It’s all unseen. you just gotta wait till it pops up out of the ground. Tiny little shoot. Tiny little white shoot. All hairy and fragile. Strong though. Strong enough to break the earth even. It’s a miracle, Dodge. I’ve never seen a crop like this in my whole life. Maybe it’s the sun. Maybe that’s it. Maybe it’s the sun. 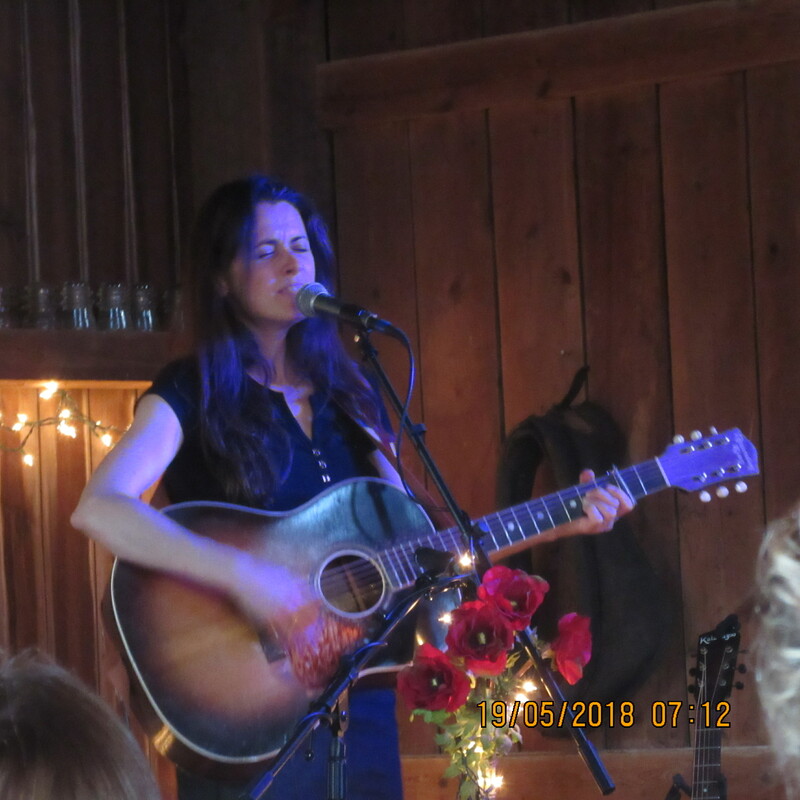 Her clipped, building phrases, reflecting Shepard’s drummer’s rhythmic sense –and his skill with chilling metaphoric analogies – carries potential redemption of the heartland myth. And yet, the long, grim shadow looming over this family will crisscross Halie, and her revelation. 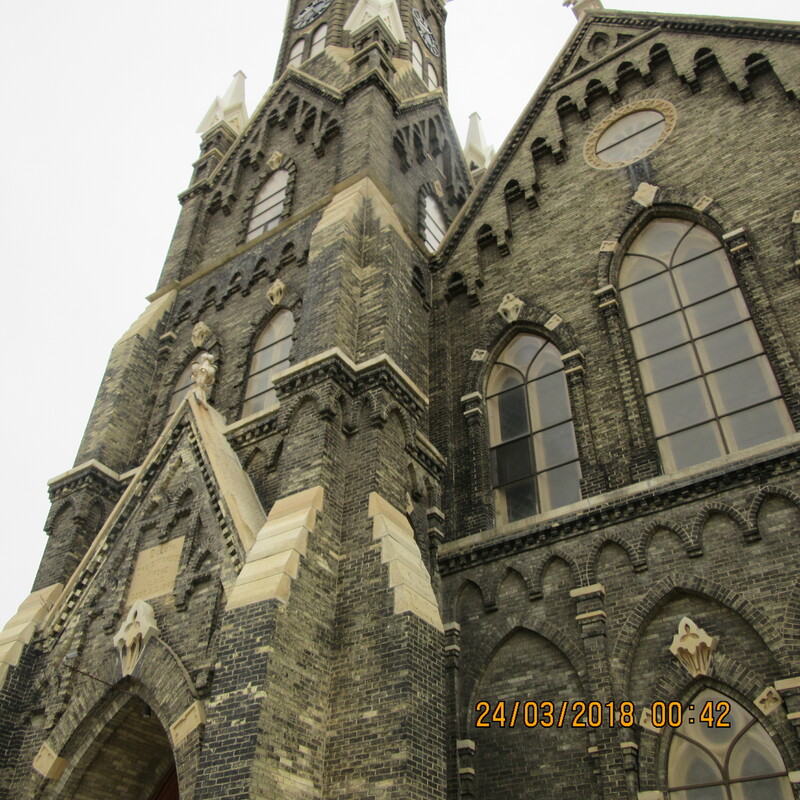 Great Gothic shoulders and luminous stained-glass had stood majestically in downtown Milwaukee since 1878. 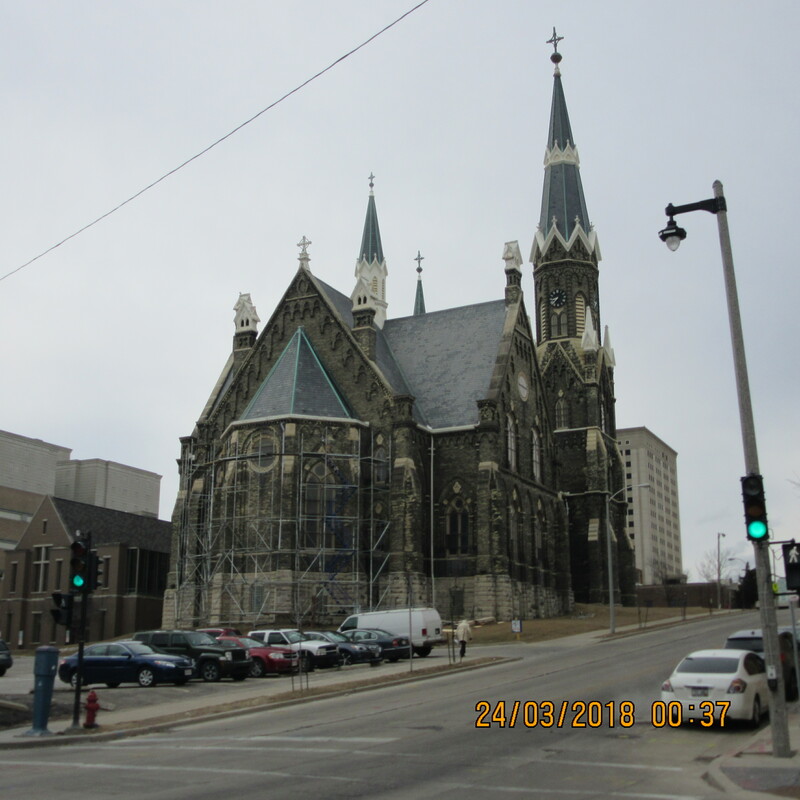 That’s when the Trinity Evangelical Lutheran Church rose to add its towering profile to Milwaukee’s skyline. At the time, it was surely one of the tallest structures in the city, at 254 feet, perhaps the tallest. Preceding the 1895 City Hall, The Pabst Building has been claimed by Wikipedia as Milwaukee’s tallest building. But the Pabst, built in 1895, was only 235 feet, and demolished in 1981. Apparently those who determine such things don’t count church spires. City Hall became Milwaukee’s tallest building until completion of the First Wisconsin Center in 1973. 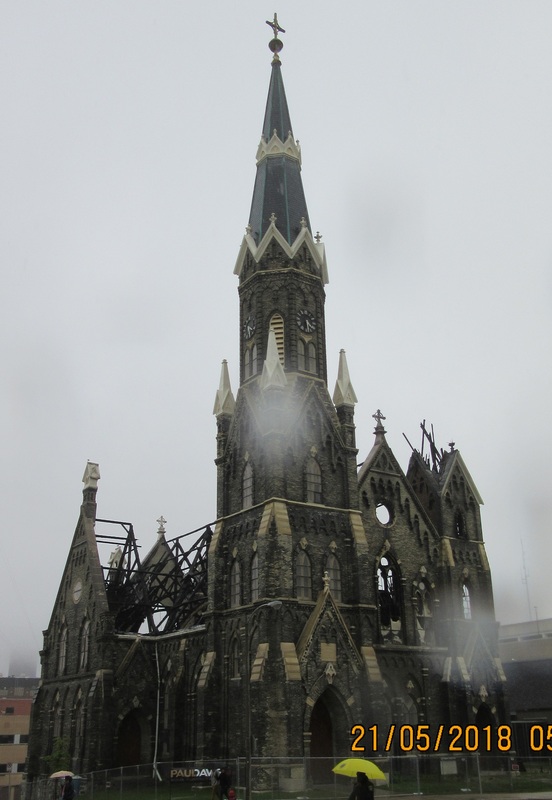 And yet, in one fateful recent day, a fire gutted the grand Lutheran structure, stripped down a spire. The cause of the horrendous blaze remains a matter of question, though heating equipment of the construction crew had initially been blamed. 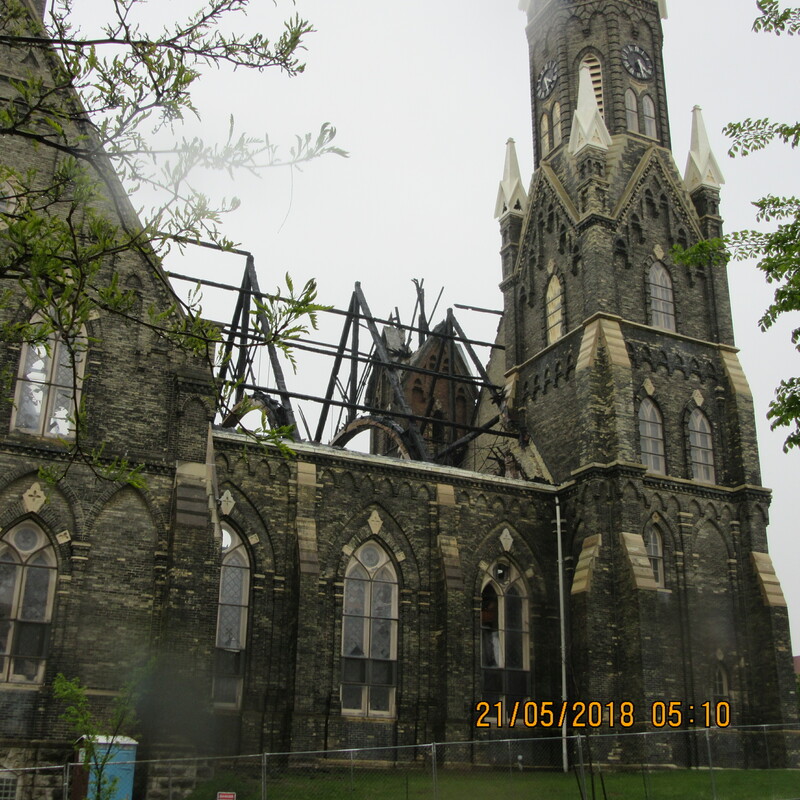 Another troubling aspect is the report that the construction company working on renovations of the structure — long on the National Registry for Historic Places — did not have a city permit, at the time of the fire. That story remains to be completely told, but I wanted to convey the actual physical loss of this beautiful church though — in seeing the devastation myself — I could sense some of the spiritual loss of a displaced congregation, from a church which won’t be usable for the foreseeable future, if ever again. I had coincidentally photographed the church a couple months ago, for a blog about The March for Our Lives event. I simply added the photos as a kind of postscript, because I was so struck by the beauty and structural perseverance of the old church. So, yesterday in drizzling rain, I went down to see and photograph the charred remains from the fire. Whether the church is salvageable remains in doubt. The sight of it startled me, moved me to the verge of tears. Nothing remains of the roof but black skeletal rib bones. 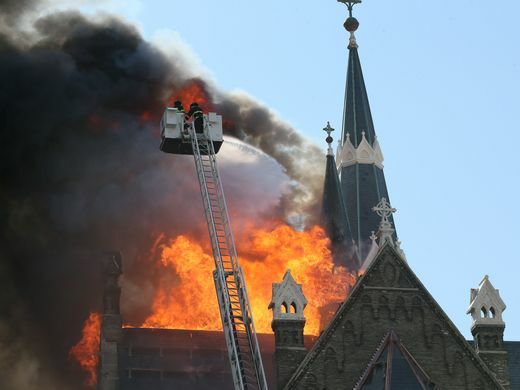 The south steeple melted down to virtually nothing. And the conflagration consumed much of the interior, previously adorned with sumptuous amounts of wood, including a stately pulpit. There’s hopeful news though. 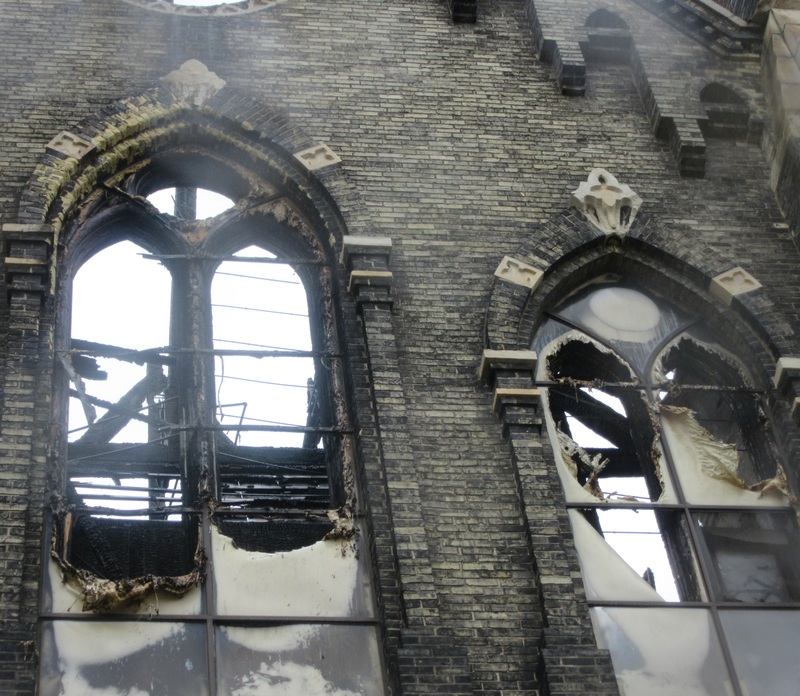 It is possible all is not lost after the Tuesday fire, an architect told WISN 12 News. 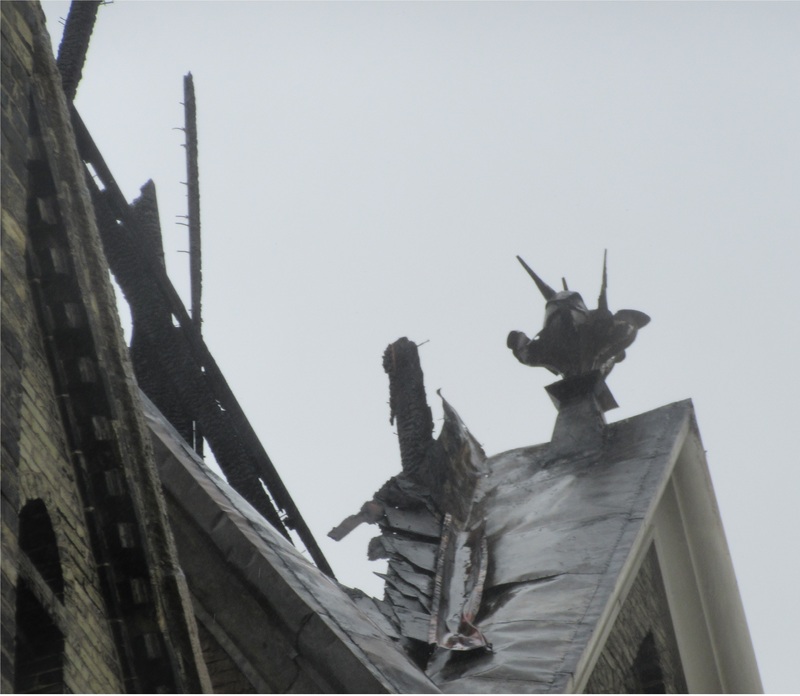 ”While the roof burned, the load-bearing walls appear intact,” according to Milwaukee Area Technical College architecture technology instructor Daniel Inyang. That means the church could be rebuilt from the remaining structure, rather than demolish the 140-year-old building. ‘Looking at it initially, since most of the masonry and structural walls are intact, yes, it could be (rebuilt),’ Inyang said. (He) stressed a structural engineer “will have to check the integrity of the walls to be certain.” The fire caused an estimated $17 million in damage. 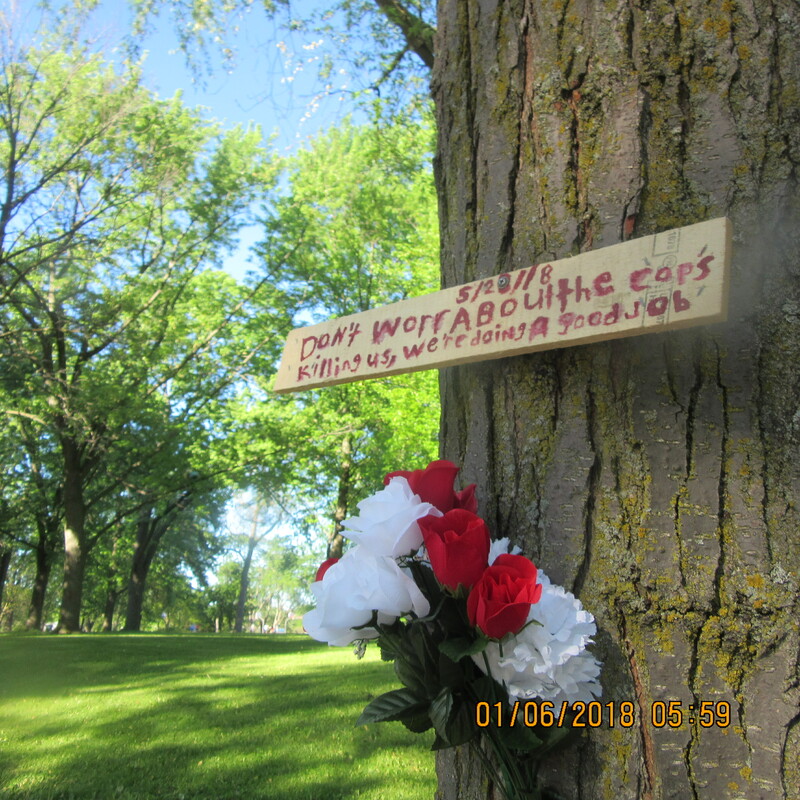 Donations toward rebuilding the church are being accepted at this site (select “Trinity MKE fund”): SW Wisconsin Lutheran Church Missouri Synod site . 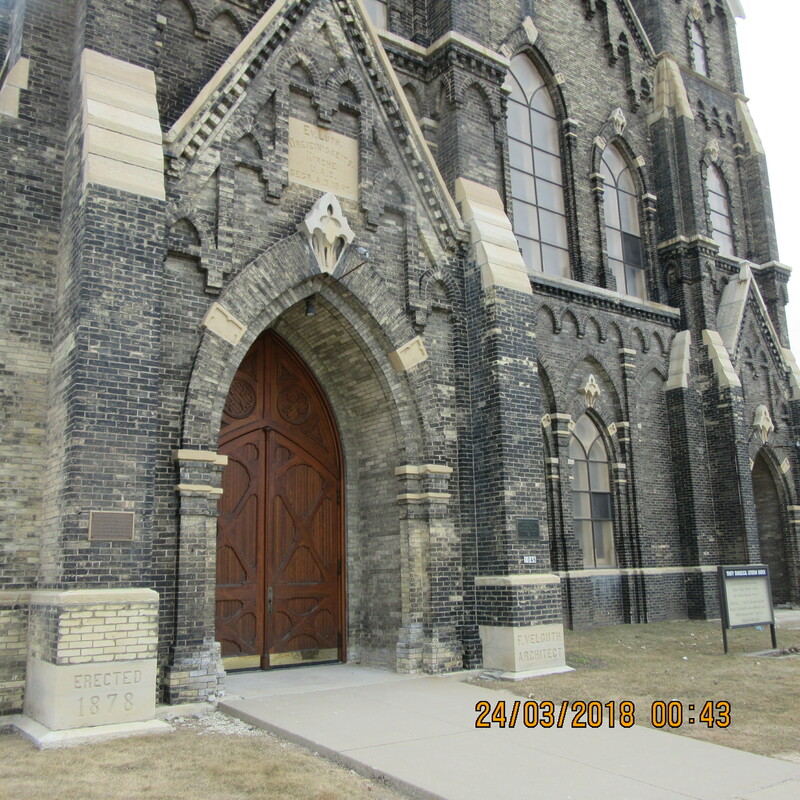 The full profile of Trinity Lutheran Church is now horribly ravaged by fire. 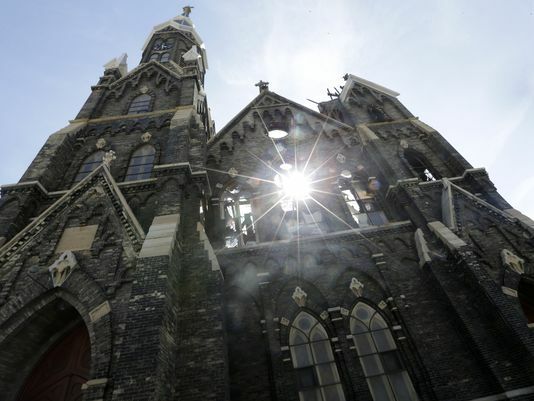 I just came across this stunning photo of the fire-damaged Trinity church, with the sun burning through the broken stain-glass windows in the facade. Courtesy DeSisti ? The Trinity church in March. 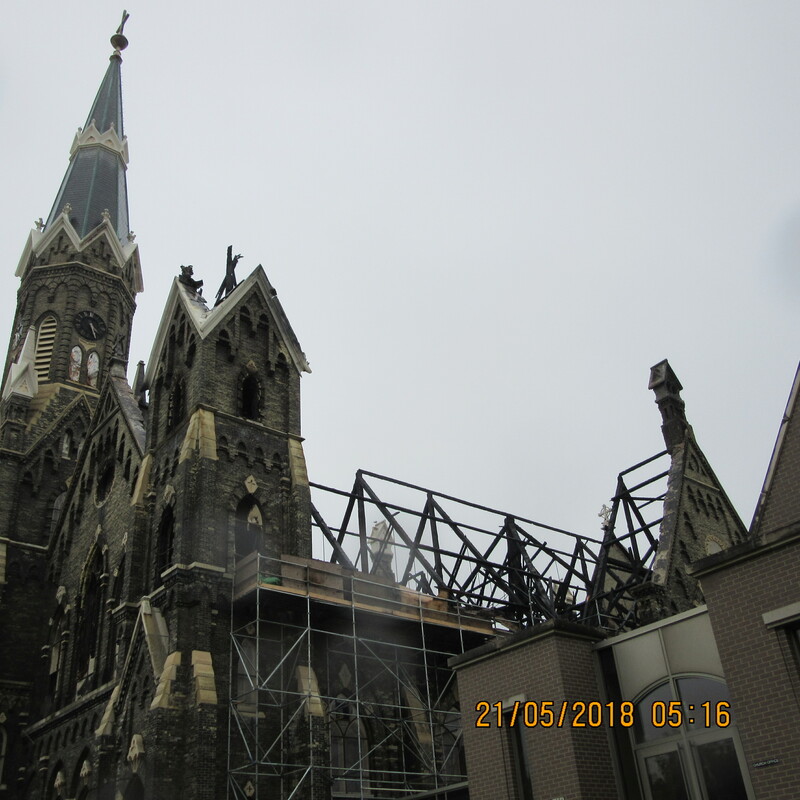 Note (between the two photos above) the total disappearance of the south spire (visible here at the roof intersection of the nave and the north transept), aside from the terrible roof damage. On the roof, the fire consumed everything but the charred backbone of Trinity. 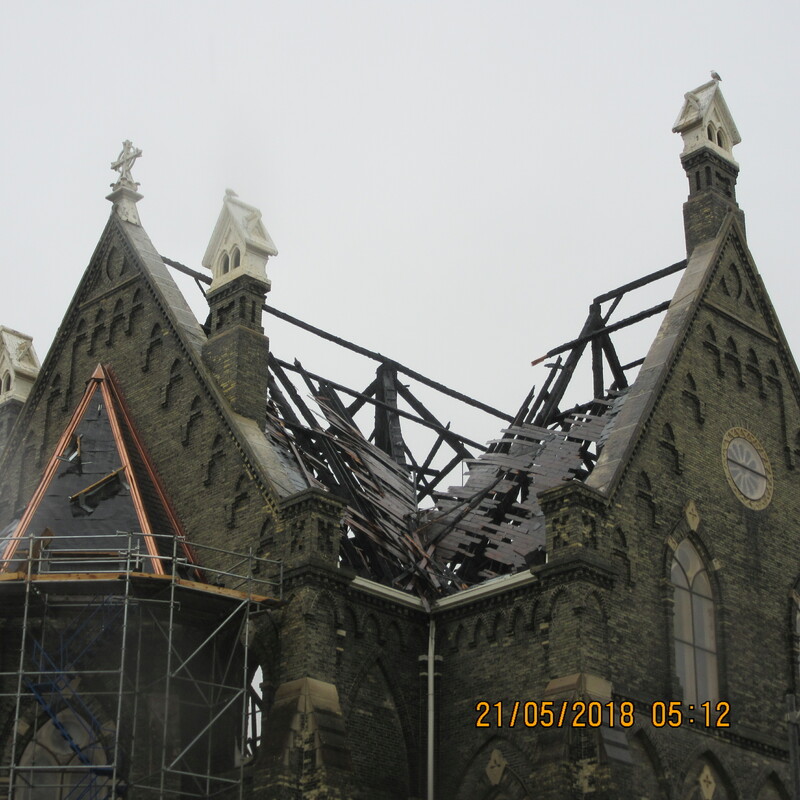 A view of the damage to the south steeple and the roof and south transept of Trinity Lutheran Church. These deformed, charred shards are all that remains of Trinity’s south steeple. 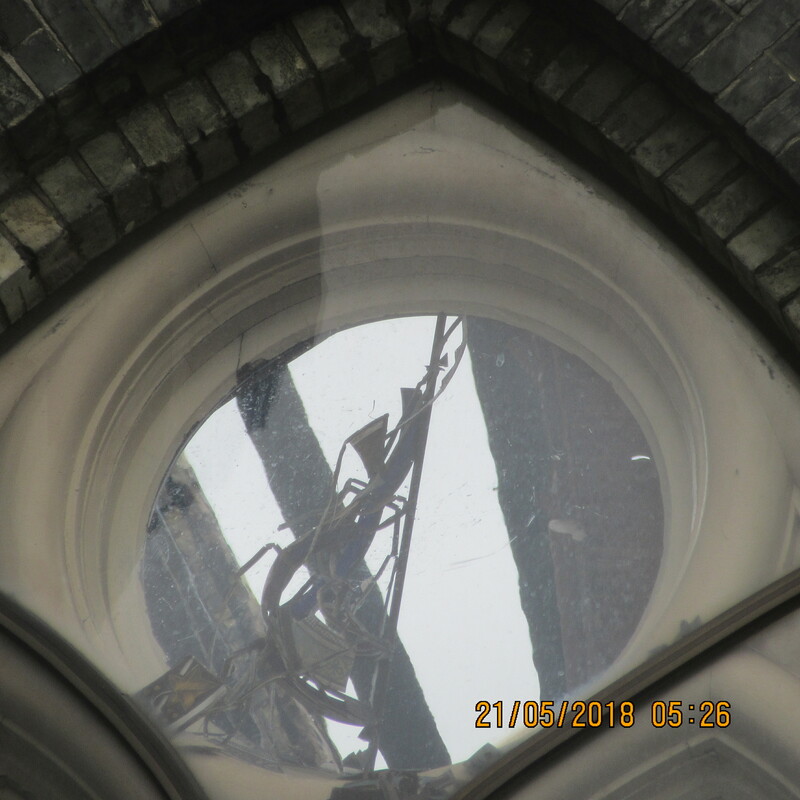 Here and above are views of the burnt-out interior of the church through damaged stained-glass windows. 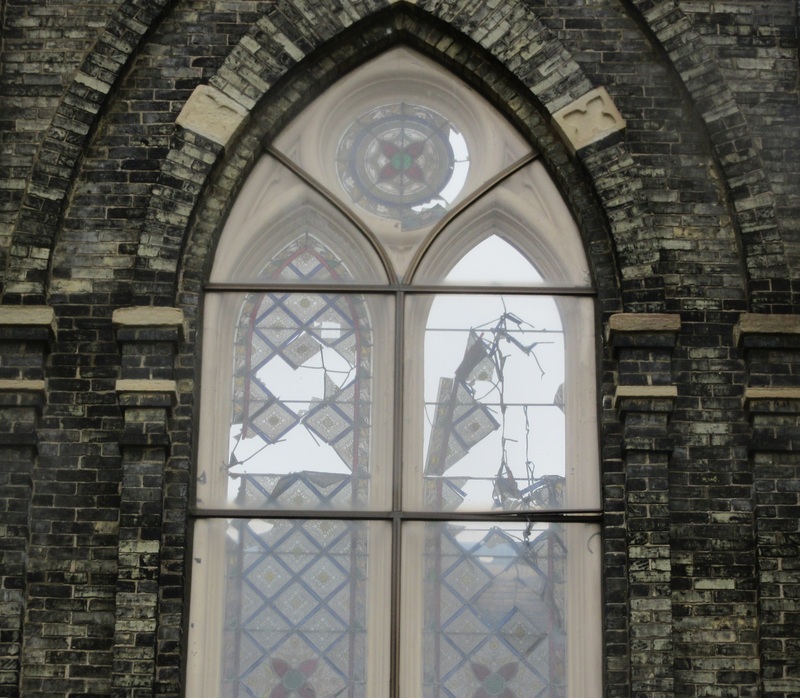 The damage to windows on Trinity’s facade shows how intense fire can actually melt away stained glass. 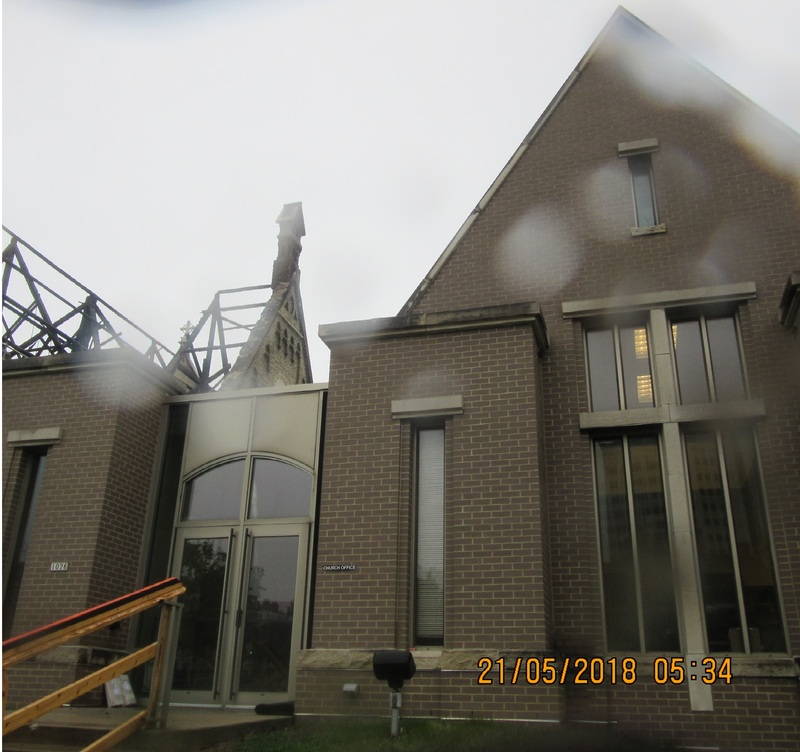 Trinity’s relatively new church office, connected to the church with a glass-enclosed walkway, was apparently undamaged, and provides functional hope for the church’s future. 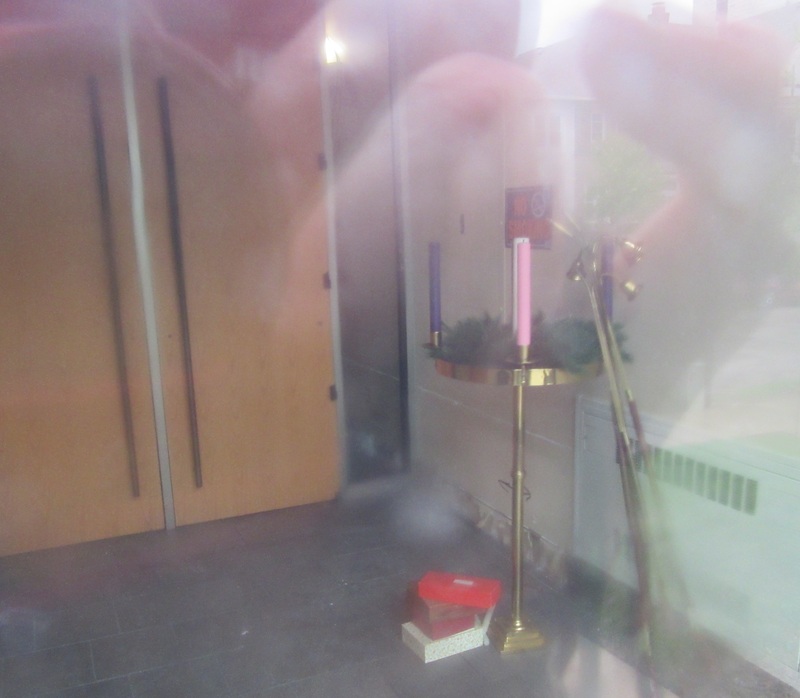 Gold-plated candle lighters and snufters, salvaged from the fire, stand in the locked church office lobby for a time when they can do their lighting duty again. 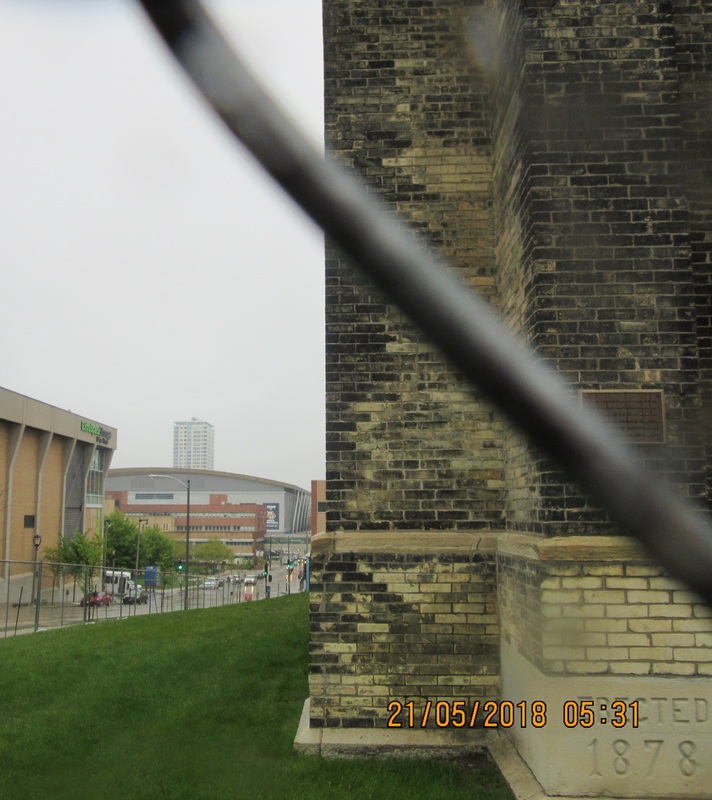 Milwaukee’s historic past — the corner of the Trinity Church, situated on 9th Street and Highland, and present — the new Bucks arena in the background. 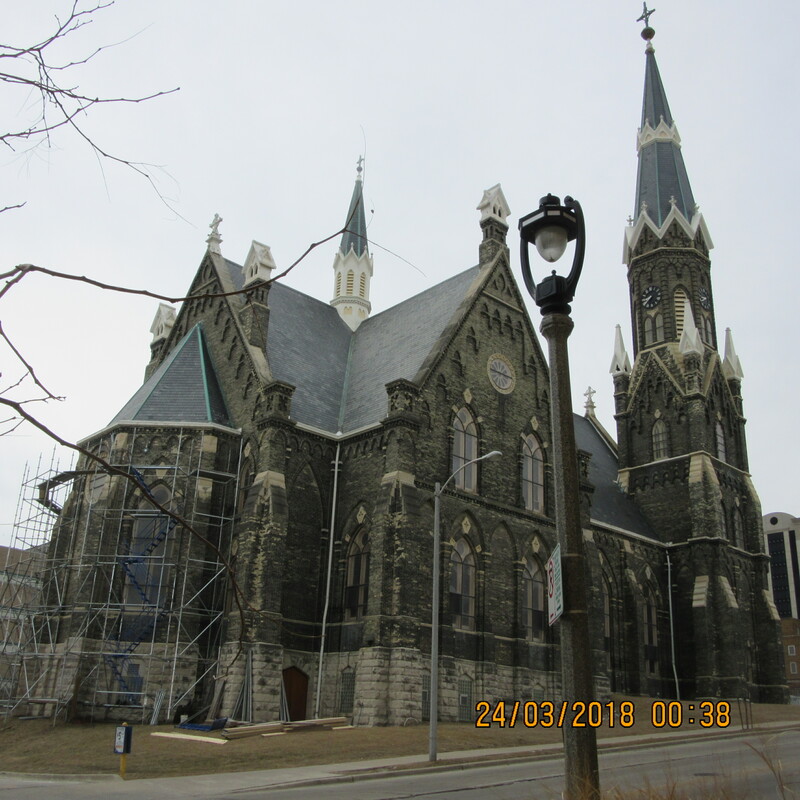 I was especially disheartened by the news of the terrible fire that ravaged Trinity Lutheran Evangelical Church in downtown Milwaukee recently. 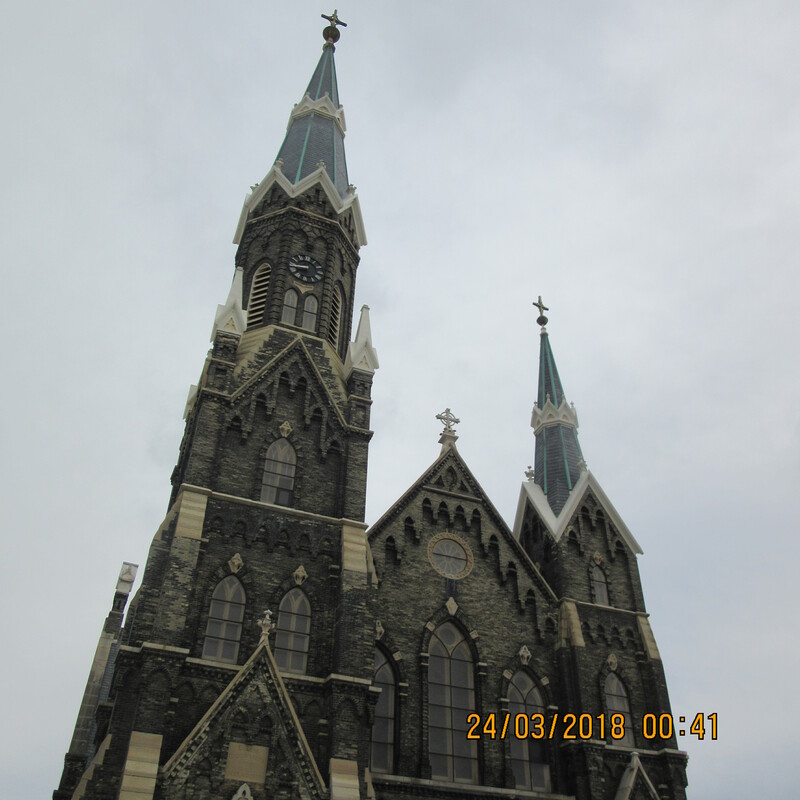 While walking back to my car after participating in the March for our Lives event on March 24, I passed the church and its beauty and deeply aging majesty captivated me. The cream city brick is especially evident as an ornamental offset to the darker brick, lending the structure a distinctly Milwaukee character. Trinity’s current location, known as Terrace Garden, was constructed in 1878, and designed by Fredrick Velguth in Victorian Gothic style. All interior woodwork was hand carved from Wisconsin Oak and Ash. The pulpit, also in wood, “is a creation of Gothic art.” One fears the fate of these virtually irreplaceable wood aspects (see last photo below of the interior). When I took the group of photos below, I was heartened to see renovations ongoing for the sanctuary, as well as other apparent improvements. So I empathize with actual congregation members when the news broke recently. I see no symbolism in the accident. I only hope and pray this congregation is not compromising the moral and humane ideals of Jesus Christ, like all to many nominally Christian evangelical churches and leaders in the current climate of purely transactional, divisive, anti-immigrant politics that President Trump has fostered. Trinity is self-described as a “conservative, caring” congregation. 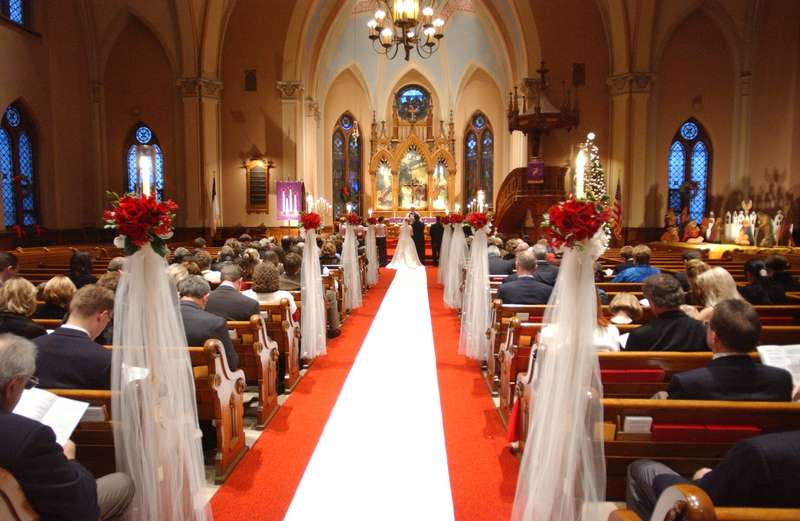 It’s important to note that immigrants from Pomerania, Germany founded the church in 1847. 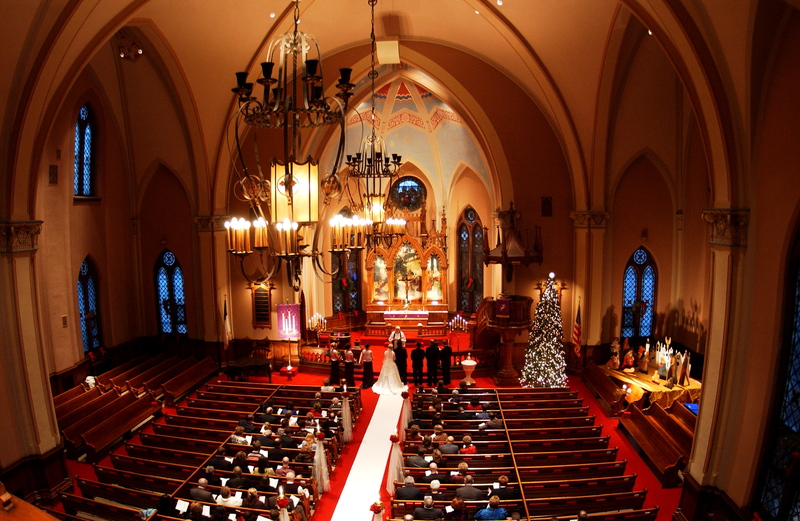 I hope my photos provided some lasting memory of the 140-year-old beauty of the church shortly before the fire. It’s worthy of rebuilding and preservation.